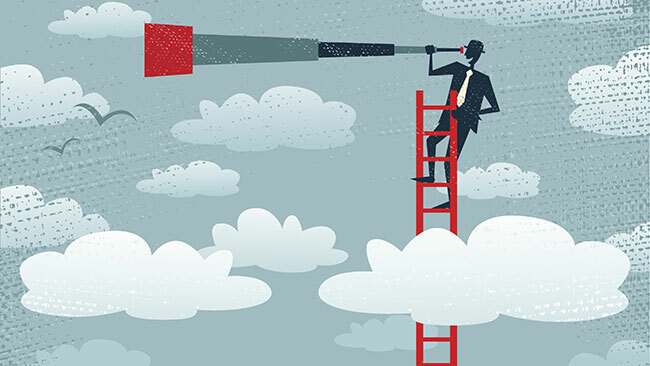 If you own a business, you may have heard of forecasting methods before. You may or may not have knowledge of what forecasting methods actually are or what they can do for you business. These methods are primarily used to predict the future of a specific area of business based on a given set of data. Typically, you will hear these forecasts referring to sales outlook. But what can these forecasting methods actually help improve for your business? This post will help you find out, so that you can determine whether or not you want to implement them in your business. Before you learn what is to be gained from forecasting methods, it is important to understand what areas forecasting is best used in. The major forecasting areas are economic forecasting, technology forecasting and demand forecasting. Economic forecasting strategies can be employed to predict future business conditions, which can be helpful for tasks like supply chain management. Technology forecasting strategies can be used to help predict possible technological developments in the future, as well as the probability of particular technology solutions down the line. Demand forecasting strategies, on the other hand, will help you predict the quantity and timing of product demand. Now that you know which areas forecasting can be employed effectively in, keep reading to find out how they can improve business. First and foremost, when it comes to forecasting methods being used for sales, your business will experience a definite spike in customer satisfaction when properly executed. Without these forecasts, the amount of inventory you decide to purchase will be entirely guesswork. Your business will be at a much higher risk of running out of popular items. As you can imagine, this does not make potential and returning customers happy. By properly employing forecasting methods at your business, you can almost guarantee that every customer will be able to buy the item they want. This will keep your customers happy and returning to your business. Happy customers will make for a a lucrative business. Another incredible benefit to using forecasting methods: the information you gain will allow you to make informed decisions for your business without having to take a corporate training certification course. Informed decisions are the best ones to make. When your business plans are based entirely on guesswork and second-hand knowledge, you only have a fifty percent chance at success. When your decisions are based on the hard data acquired by certain forecasting methods, your chances are much higher. Informed decisions usually lead to the best outcomes. You may want to consider this when determining whether forecasting is worth the trouble. Forecasting methods also keep you constantly looking ahead. This is incredibly beneficial to the well-being of your business for the long-term. As a business owner, it is easy to get caught up in the daily operations. Unfortunately, when you do, you are forgetting to plan for the future of your business to ensure its success is not just temporary. If you do not continue looking ahead for the future, your business will stall, there will be no opportunities for growth. Making use of various forecasting methods will keep your eye on the prize – continued growth and success for your business well into the future. One last point that many business owners may forget, making use of forecasting methods will help you to secure financing if you should need it somewhere down the road. In a year or two you may want to expand your automotive business or whatever type of organization you own. This will put you in a position where you may need to secure third party financing. When you make use of forecasting at your business, this gives you a hard evidence to prove to lenders that their investment will be a wise one. Having the ability to show banks or investors physical data pertaining to the future success of your business will prove to them your ability to repay loans when the time comes. This is a huge advantage, especially if you foresee a need to secure money for your business in the near future. There are many types of forecasting methods that you may wish to make use of for your business. However, there is no denying that no matter which particular method you use, your business will certainly benefit. If you are considering employing forecasting methods for your business, conduct further research to determine which method is right for you. Then, come back here and let us know in the comments how it worked out for you. Or, if you already make use of forecasting methods, tell us how its worked out for you. We would love to hear your firsthand account.